Why not be more ambitious? Ritzen and Zimmermann suggest coordinated labor policies for a European full employment strategy. Jo Ritzen is Professor of International Economics of Science, Technology and Higher Education, Maastricht University, UNU‐MERIT, Graduate School of Governance. Klaus F. Zimmermann is Professor, UNU‐MERIT, Maastricht University and Bonn University; President, Global Labor Organization (GLO) and Research Fellow, CEPR. Jo Ritzen & Klaus F. Zimmermann: Towards a European Full Employment Policy, GLO Discussion Paper No. 191. FREE DOWNLOAD. Full employment in the European Union member states is a challenge but feasible, also in downswings of the business cycle and during stages of increased robotization. It requires labor legislation that ensures flexibility and retraining, responsive labor sharing during the business cycle and to individual life cycle needs, government interventions to supply supplemental employment and revamping dual education. The future of work is better ensured with coordinated European full employment labor policies establishing fair work conditions based on long-run business strategies as well as a fair distribution of national income between labor and capital. 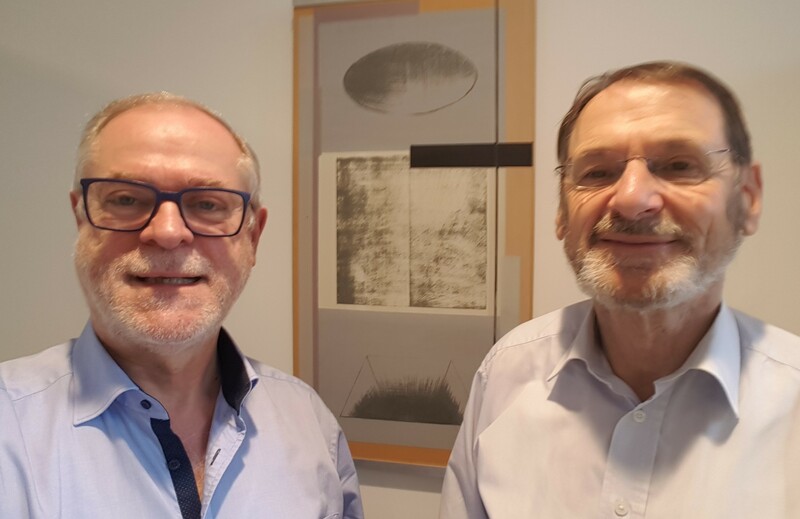 Jo Ritzen (right) and Klaus F. Zimmermann at UNU-MERIT, Maastricht. In 2017, Jo Ritzen has published a related book on: A Second Chance for Europe. Economic, Political and Legal Perspectives of the European Union, Springer Verlag Heidelberg.